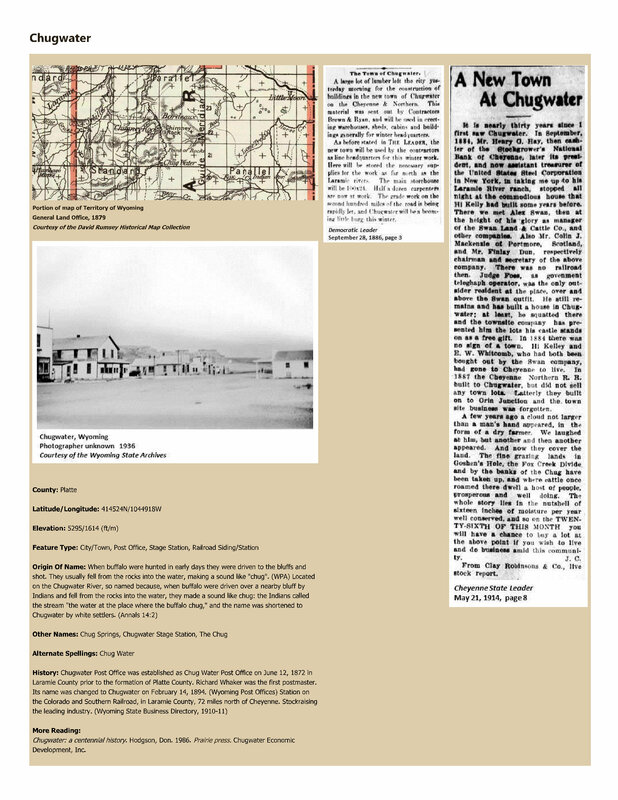 Topic: Chugwater: a centennial history. Hodgson, Don. 1986. Prairie press. Chugwater Economic Development, Inc.